Something that has been rocking the PC industry of late is the well-known device we now all own and love: the netbook. Seemingly being enhanced dramatically every few months we are also often sacking our older ones into photo frames and buying newer ones. If it is time to renew your netbook, look no further we have compiled a list of the best and the brightest available this holiday season! 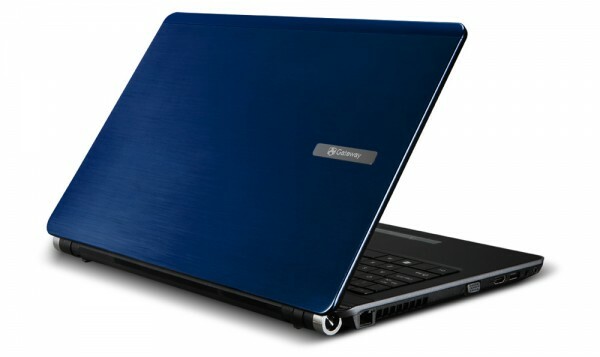 One of the early companies to debut with the popular netbook market was ASUS and for the amount of time they have gained quite some experience in terms of their hardware designs and innovations. 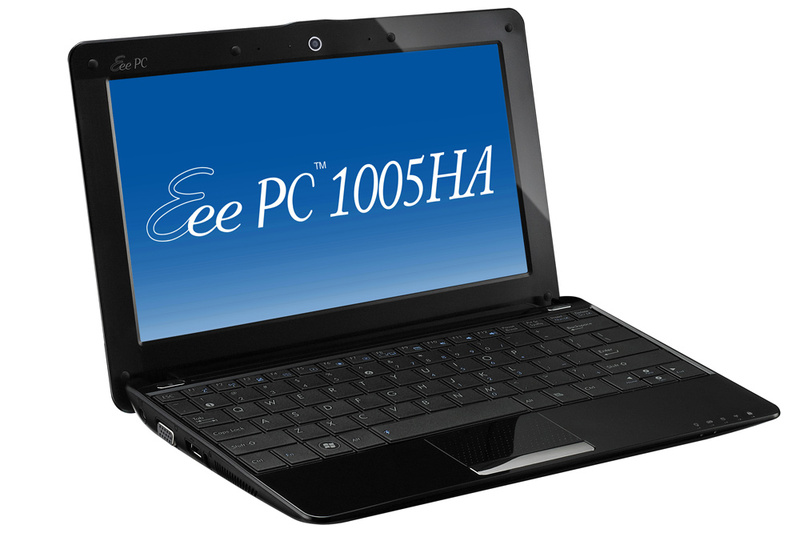 Enter: the Eee 10.1″ model available to customers in a spacious 160gb hdd. The display is a 1024×600 resolution WSVGA made for more ease in viewing your content. The core specs are similar to most other netbooks out on the market but perhaps what makes this netbook so popular today is the lightweight and professional looking design. The newly revamped keyboard is a great example of how far along their lineup of netbooks has come. This one also boasts a whopping 10.5 hr battery life! 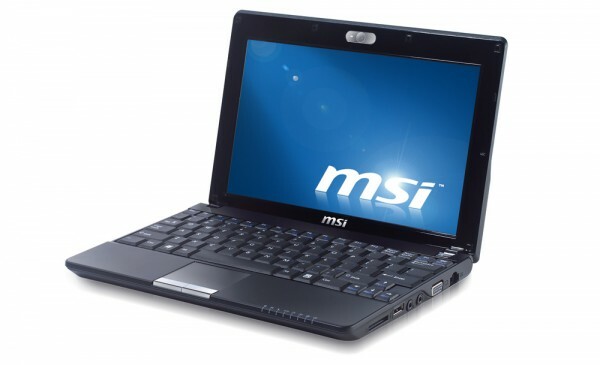 Another early contender in the market of netbooks is MSI with their lineup of mobile notebooks dubbed ‘Wind.’ These attractive netbooks are not only easy on the eyes but also easy on the hassle. According to customer ratings and reviews, this piece of hardware runs spry thanks to its 1.66 gHZ processor and 667 onboard memory. Also attractive this option is the crystal clear display measuring 10.2″ and the more powerful Intel GMA 950 graphics. Should be getting plenty of mileage as well with 9-cell lithium battery and you even get a protective case to boot. Samsung has seemingly been slow to adopt into the world of netbooks but I guess with time and patience you get the right product out into the world. The design is solid and its internal hardware is highlighted with Intel’s GMA 950 for video and 160gb hard drive for storage. Also included in this tidy little notebook is Bluetooth support. Screen sizes in at 10.1″ making good use of the more capable graphics card. Runs Windows XP like a champ. Arguably the brand that has been seeing a lot of market share in recent years is the Taiwan based Acer. Known for its affordable machines without sacrificing an arm and a leg, the public is now treated to one of their latest entries into the netbook coliseum. After many revisions, the Acer Aspire is now a lean mean fighting machine. Updated with the 11.6″ size screen capable of doing 1366 x 768 resolution (720p) this easily sits higher up on the food chain in the netbook world. The brilliant screen is not put to waste as it also is outfitted with an HDMI port for the greatest HD experience on the go. Plus with HD audio and support for up to a total 4GB memory you start see a blurring in the line between netbook and notebook. But staying true to its nature this fella weighs in at just 3 lbs! Also a newer brand to deliver on the netbook market is Toshiba. They already have a good reputation for making well priced and reliable notebooks so it’s not surprising that they deliver on a well made netbook. This particular model boasts a 10.1″ screen with a nice crisp 1024×600 resolution. Perhaps the most distinguishing of this netbook is the elegant design. The row of indicators light up to tell you what services you have on. The card reader is placed in the front instead on the side. The keyboard is spaced well and large enough for those with larger hands to type comfortably (as comfortably as you could on a netbook). I particularly found the raised keys on the keyboard to be a pretty aesthetically pleasing. The NB205 series are preloaded with Windows 7 starter and pack a larger 250gb hard drive that will be sure to keep the media users happy. 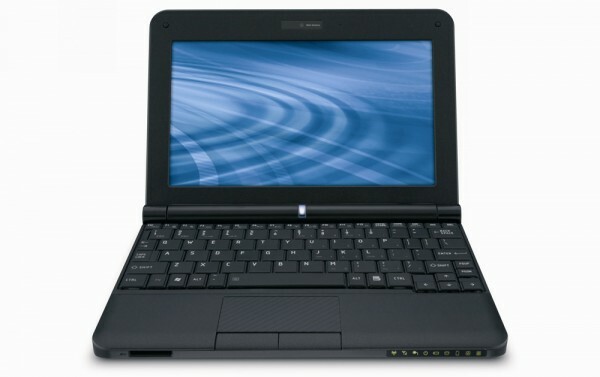 Gateway continues to keep me interested in their latest lineups especially with their entry into netbook production. 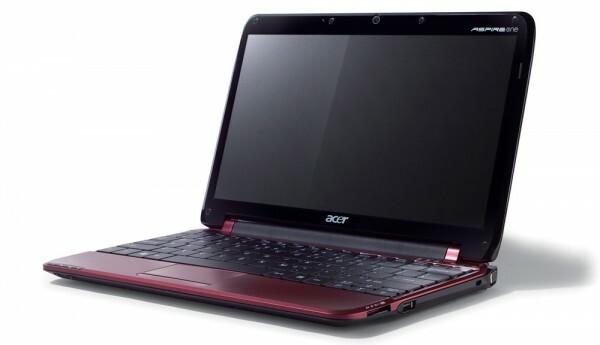 This model in particular goes head-to-head with the Acer Aspire matching its screen size of 11.6″. It weighs in light as well and reviews have cited it to run quiet without too much fan noise. The touchpad is multi gestured and it feels nicer and more responsive than the Aspire. The operating system that does come preloaded is Windows 7 Home Premium64-bit. 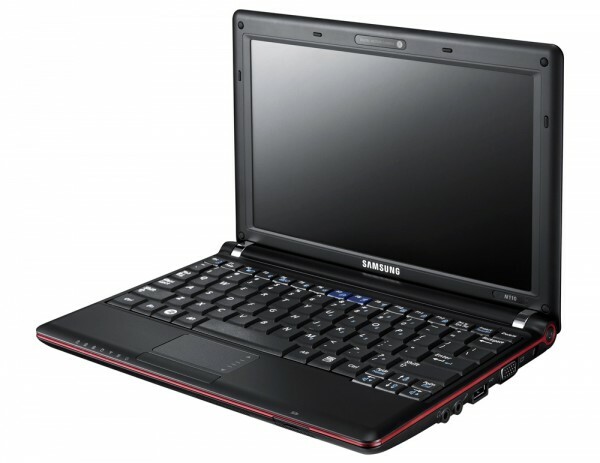 Max 4 GB memory capacity, 160 gb hard drive, 1x HDMI port, and 1.2ghz celeron processor. 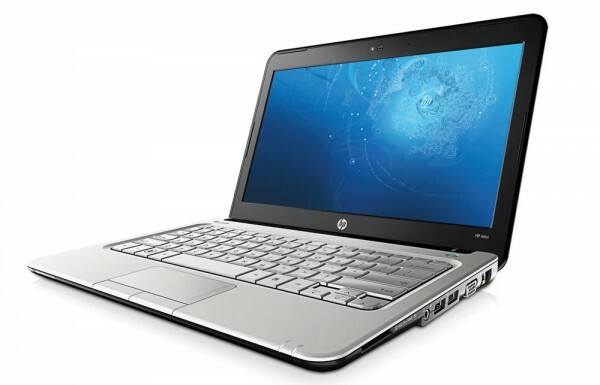 HP is perhaps the leader in affordable and reliable computers and with their inclusion of a netbook lineup you can probably expect to see the same treatment. This time around it boasts a look slightly more synonymous with their full-sized notebooks and overall taking on a sturdier look (it shows in the weight slightly higher than the rest). It boasts Nvidia’s ION Le graphics solution and handles your higher quality video with less hassle and interruption. This paired with the bright 720p screen will make your media playback all more enjoyable. Battery life is also good, rated at around 6+ hours. 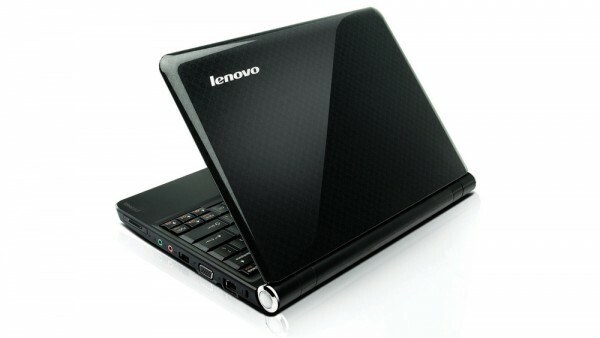 The Lenovo IdeaPad is pretty much a skinny-fat. It’s still marketed as a netbook however its screen size is 12″ (1024×800 resolution) and weighs roughly 3.4 lbs. It is chock full of all the features you can find in the other netbooks out there. It sports the classic IdeaPad look on the outside with a full-sized keyboard and a functional touchpad. Underneath the hood you’ll find a capable Nvidia ION chipset and 2gb RAM to power all your netbook endeavours. Comes preloaded Windows 7 32bit. If you’re looking to get the most out of your netbook hardware, look no further this one fits the bill!